a challenging reminder of where we are and how we got here – is in the form of poetry inspired graffitti which will float above the Custard Factory in Birmingham. It is the first of a series of similar installations at the Custard Factory. and it’ll be properly unveiled at 5pm today. 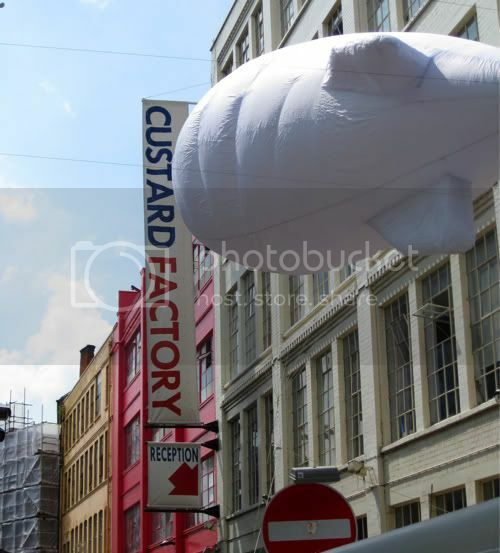 I assume that’s what it is anyway – what are the odds of their being two big inflatables floating round the Custard Factory today?